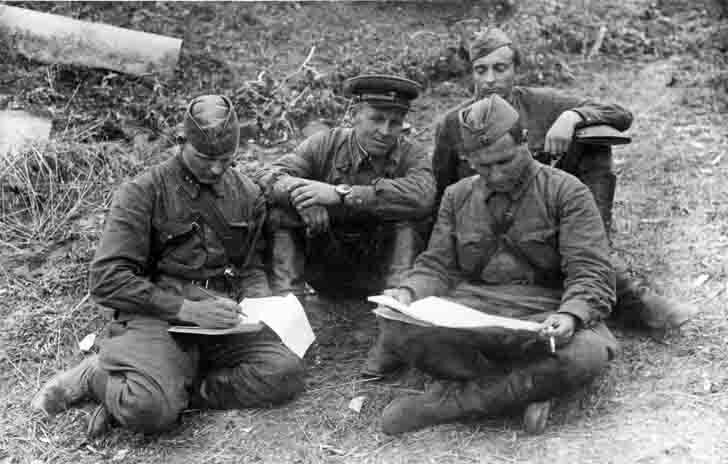 Major Syromyatnikov puts a combat mission to other Soviet officers from the Signal Corps of the Red Army. To the west of the city Dorogobuzh, 1941. 127 th Infantry Division (later the 2nd Guards Motorized Infantry Taman Division).